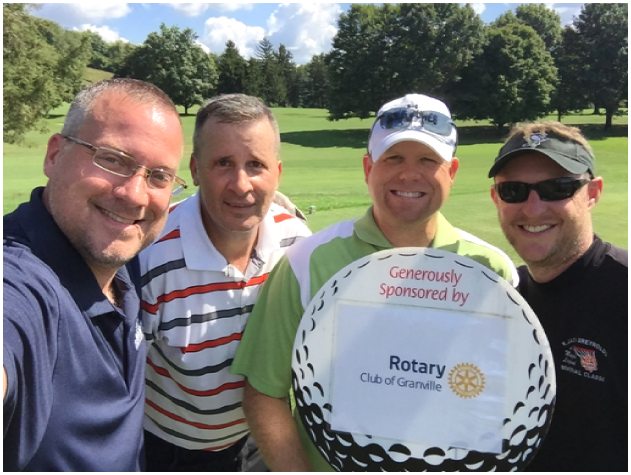 Granville Rotarians (pictured left to right: Andy Smutylo, Bryon Reed, Todd Belt and Andy Wildman) teamed up to support the Granville Chamber Alliance’s 8th Annual Golf Outing at the beautiful Denison Golf Club at Granville on September 19, 2016. 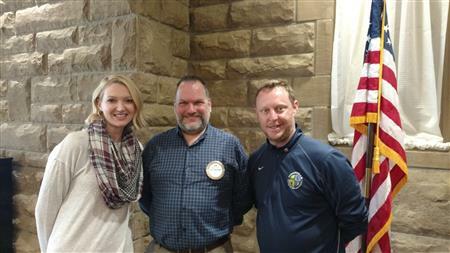 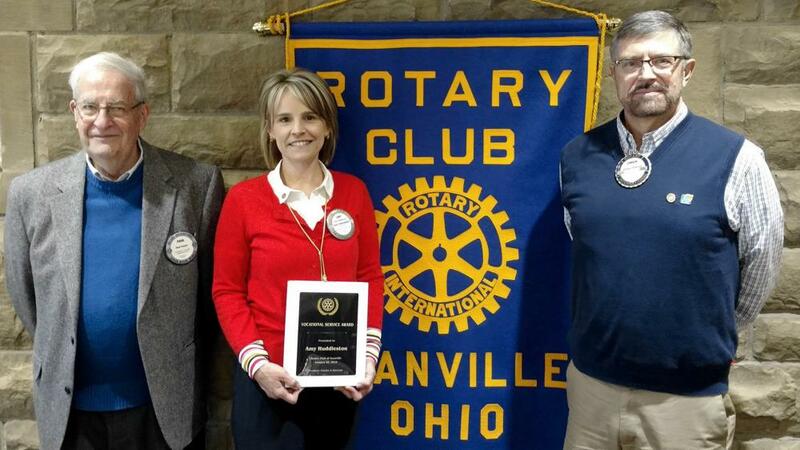 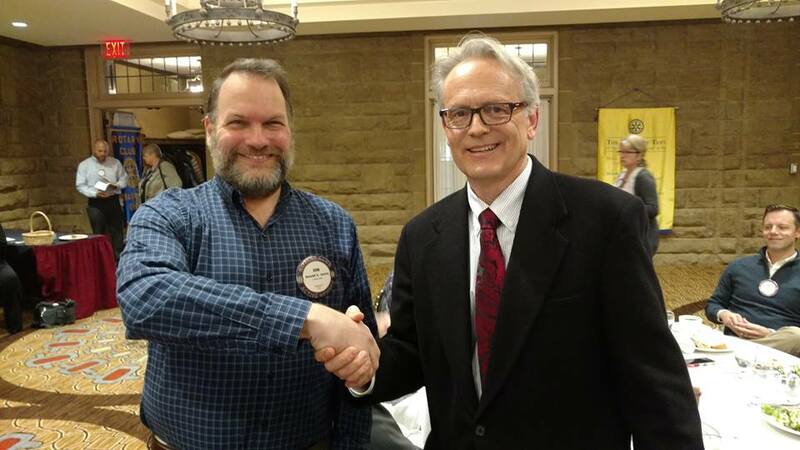 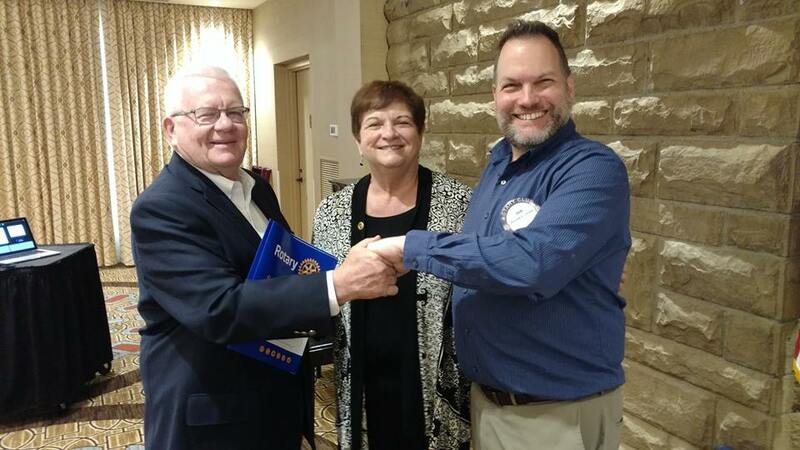 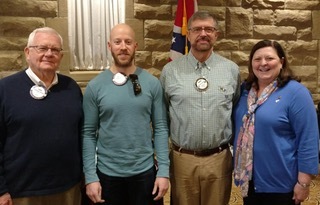 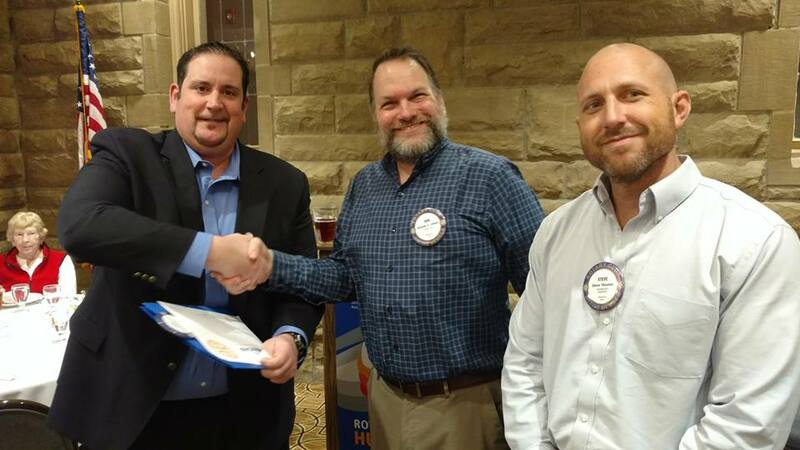 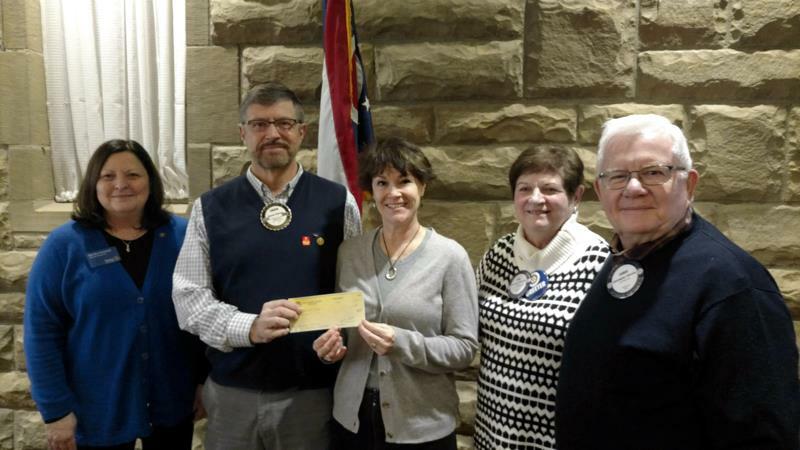 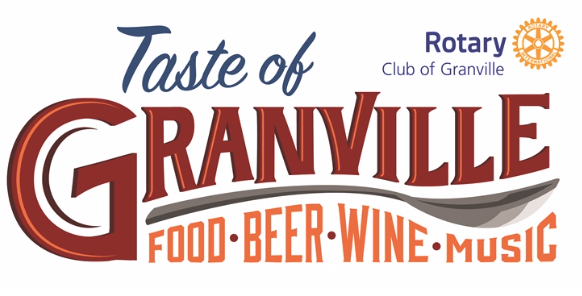 The Rotary Club of Granville inducted a new member at our meeting this week! 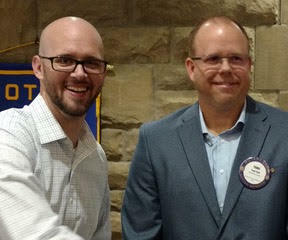 Grace Waggoner, the new member sponsor, and Donald Jones, club president, welcome Adam Gibbs to our club!